Please be advised the road is closed passed Foodland to the United Church until repairs are complete. The water will be shut off again on Monday, December 3 from at 9:30 am to approximately 4:30 pm. This is to repair a break in the main water line. 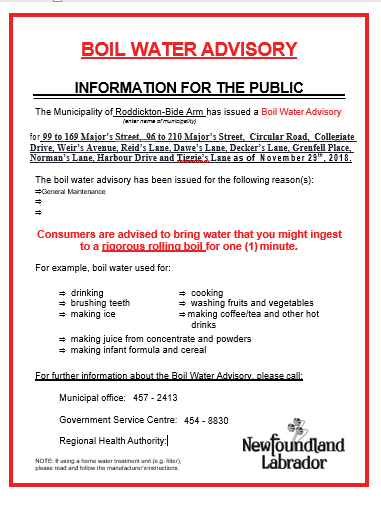 A BOIL ORDER IS EFFECT FOR THE ABOVE AREAS. We apologize for an inconvenience this may cause. There will a water shut off Thursday, November 29 from 1:00 pm to 4:30 pm and Friday, Nov 30 at 9:30 am to approximately 4:30 pm. This is to repair a break in the main water line. A BOIL ORDER will be in effect for the above places when the water is restored after the first shut off. We apologize for an inconvenience this may cause. 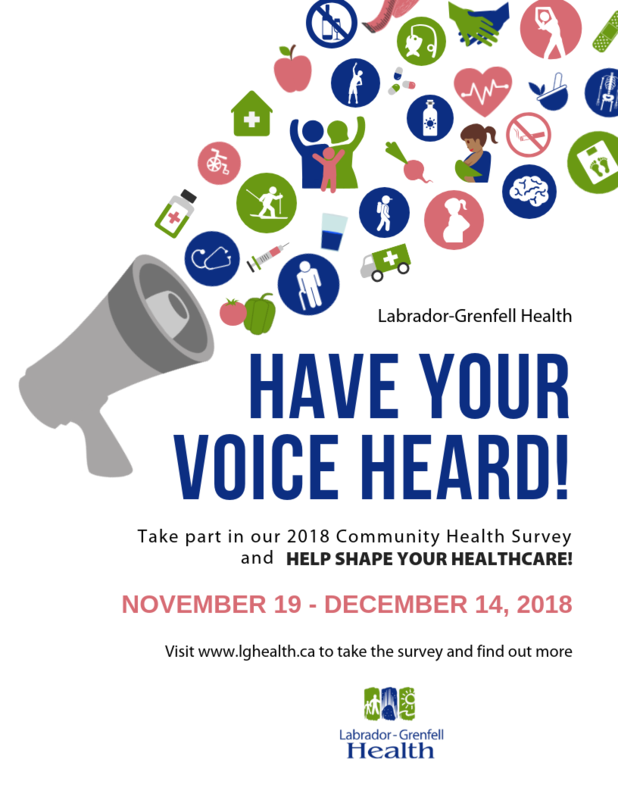 The Department of Health and Community Services in collaboration with the Newfoundland and Labrador Centre for Health Information (NLCHI) is seeking input from home and personal support workers through an online survey to better understand their training and educational needs. 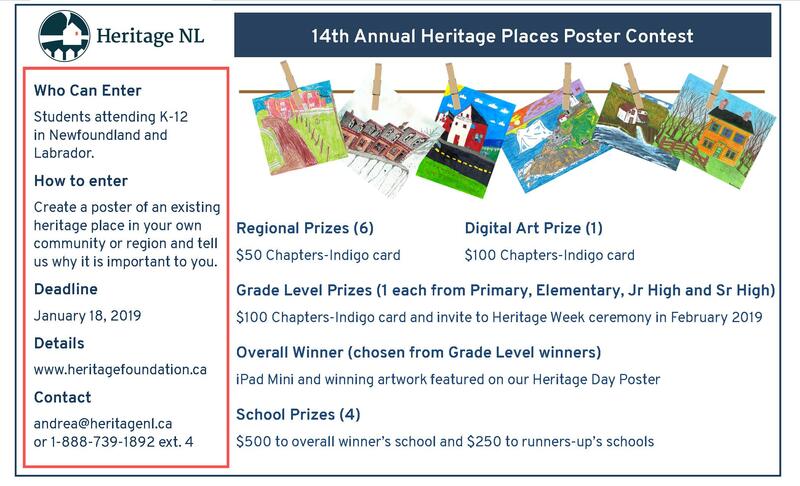 Results of the survey will help to inform the development of an educational strategy, a recommendation of the Provincial Home Support Program Review. Completed by Deloitte, the Provincial Home Support Program Review identified a 25 Point Plan to improve the program. Work on the 25 Point Plan is well underway. Supporting training and educational opportunities for home and personal support workers will contribute to improved recruitment and retention of the workforce and lead to improved delivery of services. People are encouraged to participate in the survey by visiting http://www.research.net/r/Home_PersonalSupport. 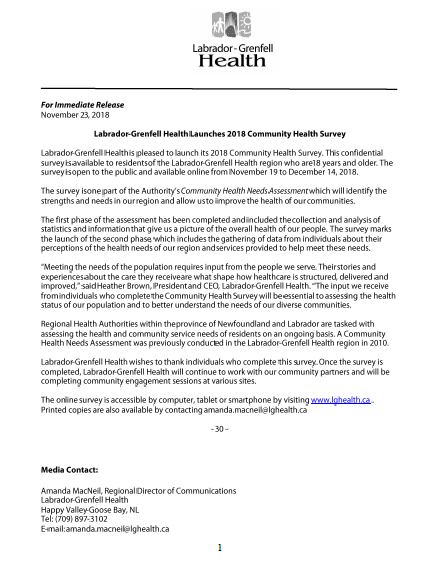 People who want to complete the survey by telephone or who have questions may contact Melody Sorenson, Program Evaluation Consultant with NLCHI, at 1-833-752-6182 or melody.sorenson@nlchi.nl.ca. The deadline is December 7, 2018. 2018 11 27 10:40 a.m.